Well we've done it, eventually, with less than 6 weeks (ish) to go. Daddy and I have finally agreed on a name for Little 3. We know whether we are having a little girl or a little boy but we have still come up with a name for each just incase, girls names are easy, there was a whole list of those and we had decided by the time of the first scan but coming up with a boy name was much harder. We had a boy name for each of the girls if they happened not to be a girl but Little 1's boy name was used by another family member so that's out and we are not quite as keen on the one we chose for Little 2 now so it has been back to the baby name books and a whole lot of them too. Naming your child is so important as they are going to have to live with it for the rest of their life (unless they decide to change it of course) and there is so much to think about. Blossom is a lovely name for a baby but will it suit her when she is 6, 16 or even 60? How well will your chosen name suit your child as they grow into an adult? Will their name hinder them from becoming a top barrister for example? Children can be cruel- can you think of all the possible ways a name can be changed, turned into a taunt, or a nickname once your child reaches school age, if they can they will and it could cause all manner of heartache- Bertie may well be the cleanest kid in class but that will not stop him being dirty Bertie to his peers! Do you like the shortened version of a name? Your child may always be Richard to you buy it will inevitably be shortened as they grow- do you like Rick, Ricky or Rich too? How well does your chosen name go with your surname, any middle names and other family members names? Write it down, say it out loud- you don't need me to tell you about Ben Dover or Sam and Ella from next door. Think carefully about initials, with and without middle names, what do they spell? It may seem a good idea to give all your children a name with the same letter but when the post comes addressed to H Smith, which of your children does it belong too? It can become quite inconvenient. How popular is the name you like? If it is in the top 20 or even 50 at the time it is quite likely your child will not be the only Ben or Amelia in their class, growing up as Ben C or Amelia W can be quite annoying (this is the biggest one for us, which I will explain below). Following on from above think carefully about choosing an unusual name for your child, can family spell and pronounce it, you don't want to have to correct everyone forever and it can become an issue for the child (speaking from experience again!). So when it came to choosing a name for Little 1 it was very important to me that her name was not one of the more common ones and she would hopefully be the only one in her class. 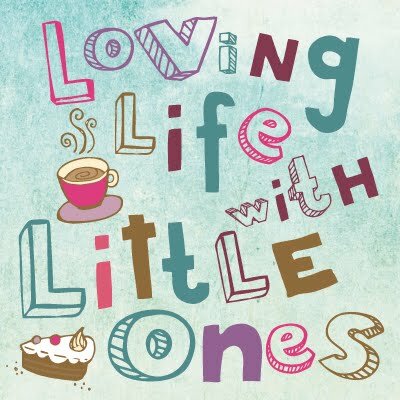 At the time I worked in a children's nursery and had done for years until I left work to become a stay at home mum so it was even more tricky as I had looked after so many children and really didn't want to give my child the same name as any of the troublesome ones or the clingy one!! I had a name I loved from when I was about 12 years old that I had heard in a film and I knew one day if I had a daughter I would name her that, Daddy wasn't quite so keen and his favourite choice was one of the most popular names going which I didn't really like. When it came down to it on the day of her birth, I looked at my tiny baby and said 'I still want to call her (name)' and Daddy said 'Yeah ok I was always going to let you!' The health visitor once said to me that out of 7000 children on their books she was the only one with that name. I haven't come across another yet but I know a couple of people that know someone with the same name. The only downside to Little 1's unusual name (it is more common in America but is actually German in origin) is that people do get it wrong, her name is uncommon but not wacky or crazy and easy to pronounce (as you read it) but she often gets called other things when people don't read it right. If you change a couple of letters round it can be a wacky spelling for a popular 80's name so she gets called that a lot, it has taken me 3 months to get her school to stop spelling it that way on all her paperwork and books which caused a lot of upset in the beginning. When it came to naming Little 2 I let Daddy have more say! (I thought I ought to) but he likes all the old fashioned common ones and the 3 letter ones that seemed to be oh so popular when she was born. I took to the baby books and came up with one along the same lines that was not quite so common, but it is definitely making a comeback now 3 years on, that was similar to what he liked and he agreed. We use her full first name and ensure others do too, it has never been shortened (as the shortened version is really popular). It might change as she gets older and wants a shorter version but that will then be her decision for now we are all happy. With Little 3, Daddy has let me do all the work, I have been mentioning names for months and throwing odd suggestions at him, mostly they are met with a flat 'No' but as time has gone on he has listened to me saying the same one or two a few hundred times and finally, while sat in the hospital having our baby monitored for 3 hours last week, I had him pinned down long enough to make a decision. We did ask the girls what they wanted to name the baby, Little 2 wanted Ballerina for a boy or a girl and Little 1 has loved the name Jesus for well over a year now which was NEVER going to be an option but now likes Jack and Sophie both of which while lovely are not for us. Needless to say I hope they like our name choice when we tell them, we won't be letting the cat out of the bag until the birth as I'm sure you will agree a 5 year old will not be able to keep it to herself and I don't really want the whole school knowing just in case we change our mind. Unfortunately as I don't use the names of my family on my blog for anonymity reasons unless you know us personally you will not find out the names of my children but you are welcome to have a good guess!! Disclamer: Please forgive me if I have slated your childs name in the writing of this blog post, it was not intended and just happened to be pure luck, it is a lovely name really!